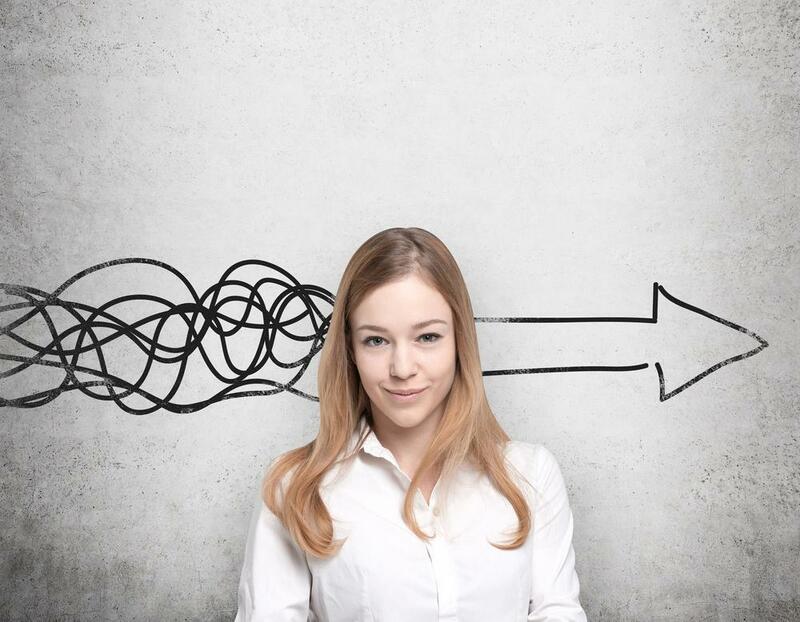 These shifting behaviors might seem alarming, but they actually present an exciting opportunity. New, widely available commerce technologies are enabling brands to directly reach their customers—be they traditional consumers or B2B buyers—effectively bypassing traditional channels. Now, business owners and brands can easily enter new markets and scale in ways that simply weren’t possible before. In this blog, we go over 3 ways to digitally transform your business and achieve unprecedented levels of growth. For digital-first B2C brands, expanding into the wholesale market might seem a little daunting. However, selling to other businesses can reveal new revenue streams that you might not have realized before. 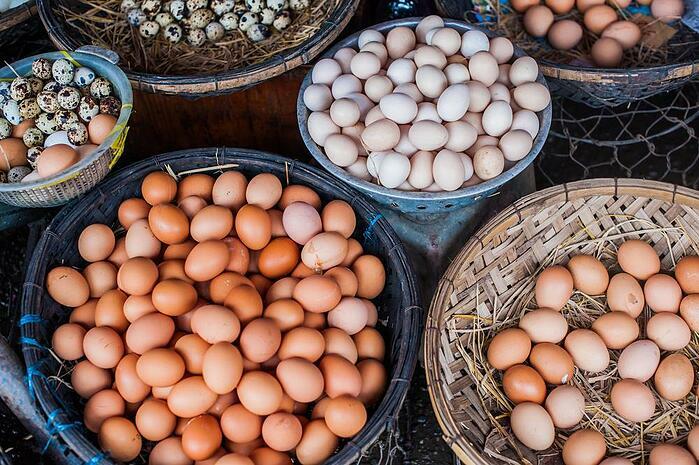 Wholesalers can enjoy larger order sizes and repeat purchases—but it’s important to effectively manage your inventory so you can meet and monitor the demand for your product, no matter the buyer. Beauty and cosmetics wholesalers, on the other hand, can leverage consumers’ growing demand for premium products, and expand into the B2C market. If you’re new to the direct-to-consumer side of retail, you’ll need to be aware of the significantly smaller order sizes in today’s consumer market, especially as beauty buyers often seek out samples before becoming loyal to a particular brand. This means that, while your per-product price might be higher, you’ll also need to increase your marketing spend to drive a proportionally higher volume of sales. Retailers who have embraced multi-channel sales and conduct business in both the B2B and B2C markets can drive growth by better leveraging their existing customer base. Bundling certain products, and upselling and cross-selling your existing customers can open the door to increased revenue, while also helping your customers see your brand in a new light. As more brands emerge in an already busy market, it’s important to maintain a diverse series of multiple revenue streams. Beauty and cosmetics brands that resist eCommerce might soon find their slice of the market shrinking. Consumers of all ages are actively seeking out the convenience of online purchasing. The 2017 Deloitte study found that a majority of the 81% of beauty shoppers who use digital prior to or during their shopping journey do so because of the ease of the buying experience. When it comes to embracing digital technologies, the B2B market is especially ripe for innovation Wholesale buyers are bringing their personal, digital-focused buying habits into their work, and are responding to B2B eCommerce in new and exciting ways. Your B2B buyers will appreciate you offering a buying experience that they’re already familiar with in the B2C market—such as a price-and-assortment personalized eCommerce shopping experience and hassle-free purchasing options. But the digital transformation hardly stops there. Brands, especially consumer-facing ones, have been turning their attention to artificial intelligence (AI) and augmented reality (AR). These relatively new technologies have particularly popular applications in the beauty and cosmetics industry, enabling both B2C and B2B buyers to virtually try on makeup before committing to a purchase. In fact, L’Oreal recently purchased the leading AR makeup provider, ModiFace, so they can better leverage people’s interest in the intersection of AR and cosmetics. What’s more, businesses can use the data they collect from these AI and AR tools to inform their future strategies. Together with crowd-led innovations, brands can more easily understand what their customers want and work to bring these products and services to the market in the most effective way possible. Diving into new revenue streams and opening yourself to different business opportunities makes it even more important to be as organized and effective in your operational processes as possible. Process automation is truly the unsung hero of digital transformation. Automating many operational processes can not only help you save time and money, but it frees up your staff’s time to focus on more meaningful tasks. When your sales representatives don’t need to act as a delivery service, driving from city to city just to deliver a product catalog or place an order, they can focus on winning new business for your company. They can also work on strengthening the existing personal relationships that are crucial to a successful B2B business. Each of these digital processes become even more powerful when they are used together. All it takes is a digital mindset to simplify traditionally manual processes. These tools are available to businesses of every size—it’s up to you to fearlessly transform your business into one that embraces automation and growth through digital transformation. 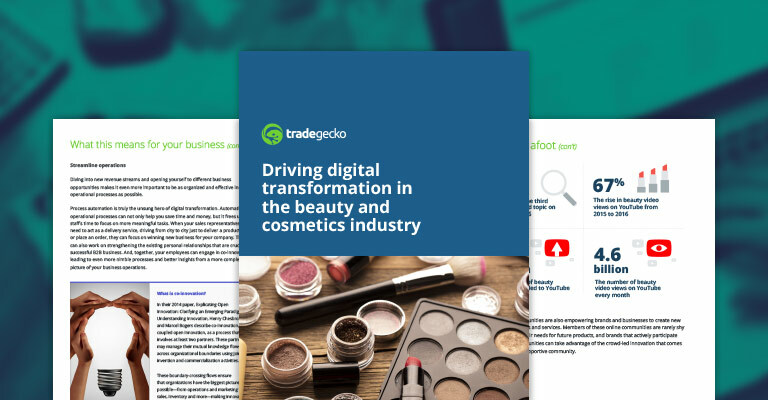 Download our latest eBook: Driving digital transformation in the beauty and cosmetics industry to understand what this means for your business and how to fearlessly transform your business. Download our latest ebook to learn how to fearlessly transform your beauty and cosmetics business.